To show or hide the hidden files and folders in Explorer View of Q-Dir, is also possible in the File Manager! ► How to delete favorite filters entered by mistake? ► Dragging doesn"t work at all when dragging from a network (mapped) drive! ► edit or copy very long paths in Vista address bar! ► Classic and modern Address-Bar! Please be careful with the hidden files under windows 10 and others! (Image-1) In Explorer Hidden and System Files show or hide! The Windows operating system offers its users the ability to hide private files and folders. If you choose to hide some kind of confidential information from unauthorized persons using your computer, you can do one of the following two ways. ► Show hidden files and folders in Windows 10! Like any operating system, Windows keeps some of its files hidden. The developers of Microsoft did this so that users could not accidentally delete or modify important system files, so be careful with the hidden files under windows also in Q-Dir Explorer. However, there are occasional situations where access to hidden system folders and files is simply necessary. It's also worth adding that Windows protects files from prying eyes and user folders with files to protect privacy. To hide and display hidden and system files in the Windows operating system. Q-DIR - FAQ-108: In Explorer View Hidden and System Files in Q-Dir, (show, hide)! Is there any way for Q-Dir to ignore the desktop.ini file? For example, \Windows\assembly does not show the actual files. I don't want Explorer to change, only Q-Dir.? Where do you find hidden files options in Explorer View? Where is hidden files options on Explorer View? Can't find the hidden files options in Explorer View? How to find hidden files options in Explorer View? Can not find on Explorer View computer the hidden files options? I can't find hidden files options in Explorer View, Where is hidden files options in Explorer View? Hidden files options doesn't open Explorer View? How to run exe program on Explorer View desktop via cmd? How do i find hidden files options in Explorer View, wheres hidden files options on Explorer View? All shortcut of hidden files options in Explorer View? How to find the ms hidden files options in Explorer View? Hidden files options in Explorer View? Hidden files options download Explorer View? Shortcut key for hidden files options in Explorer View? Where is the hidden files options on Explorer View? Show hidden files and options in Explorer View? How to see hidden files Explorer View? Show hidden files in Explorer View? Show hidden folders Explorer View? Hide file in windows explorer? 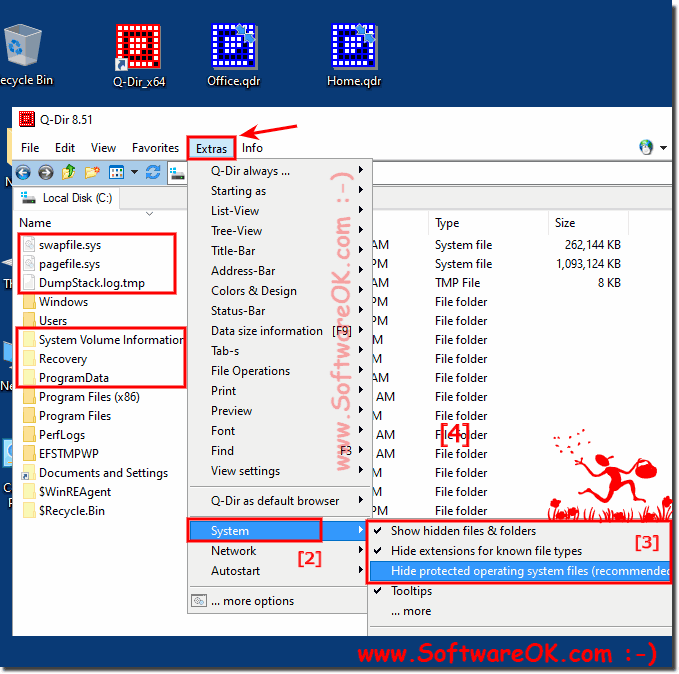 How to see the hidden files in file explorer? Missing hidden folders Explorer View? How to open hidden folders in Explorer View? How to find what Explorer View extension will open a internet file saved? List View show hidden files? Explorer View show hidden files? Search extensions folder missing in Explorer View? View hidden icons in explorer, Explorer View dir don't show directory name? Show hidden icon Explorer View? Setting hidden file Explorer View from file path? Shortcut of hidden files in List View? View hidden files Explorer View? Open folder files not displayed Explorer View? Why are hidden files showing on List View? What is the shortcut for hidden files options in Explorer View? Hidden files options program for Explorer View? Where do i find hidden files options in Explorer View, to paint an image? MS hidden files options for Explorer View? Where is microsoft hidden files options in List View? How i find out hidden files options option in Explorer View? How to start hidden files options in Explorer View? Where is hidden files options.exe in Explorer View? Download Windows hidden files options for Explorer View, for free? Download Microsoft hidden files options Explorer View, and Shortcut for hidden files options in Explorer View? How to open up Microsoft hidden files options in Explorer View? Explorer View hidden files options directory and folder? Where did the standard hidden files options from windows go, like paint, List View? What is the hidden files options for Explorer View? Where can i find hidden files options in Explorer View? How to get to hidden files options in Explorer View?